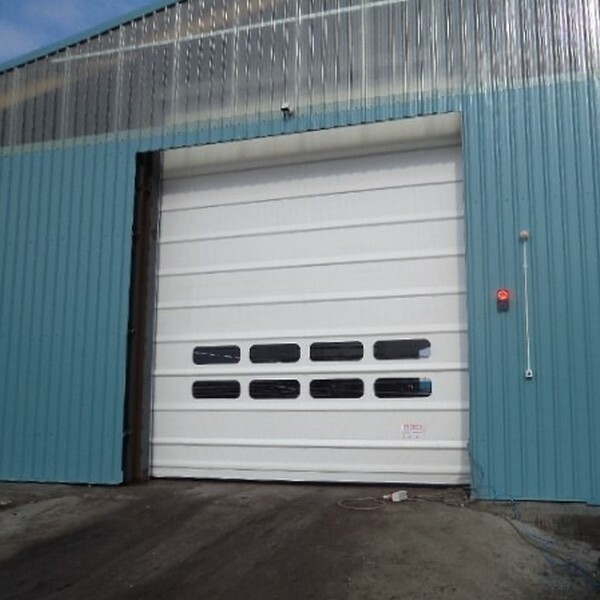 The Delta Speed range of High Speed Doors offers a top-quality solution when it comes to managing an opening, across a wide range of sectors. 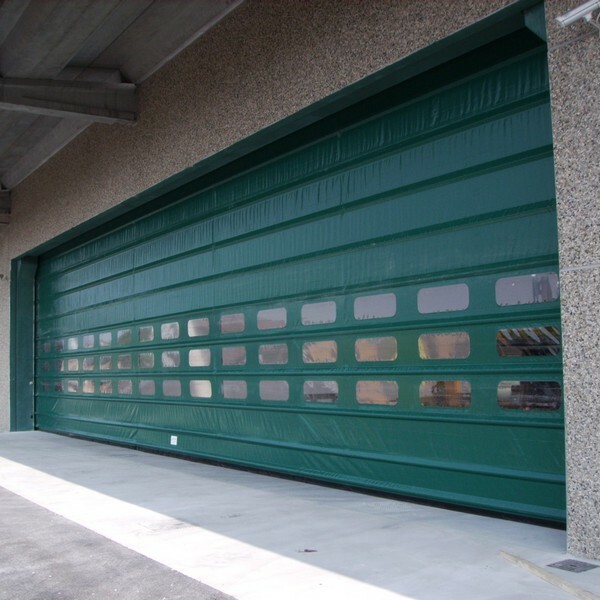 The Delta Speed 8000 door is a cost-effective option for large openings, where wind-class rating is required. The Delta Speed 8000 incorporates a heavy-duty motor to drive the barrel and belts that pull up the wind bars into the curtain – all housed within a strong galvanised steel frame. It has opening speeds of up to 1000mm per second and closing speeds of 500mm per second. 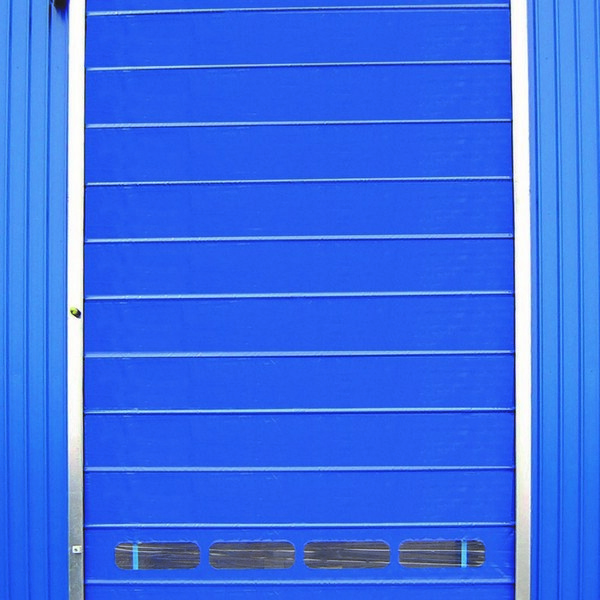 In short, this door is guaranteed to protect your people and products from the elements. The types of buildings and businesses that this model would suit include those where goods are despatched and received on a regular basis. This might include SUPERMARKETS, LOGISTICS CENTRES, SUPPLY DEPOTS, VEHICLE STORAGE CENTRES, DISTRIBUTION HUBS and even EMERGENCY SERVICE BASES. The Delta Speed 8000 can provide partitions within buildings such as SPORTS HALLS, EXHIBITON CENTRES and EDUCATIONAL FACILITIES. 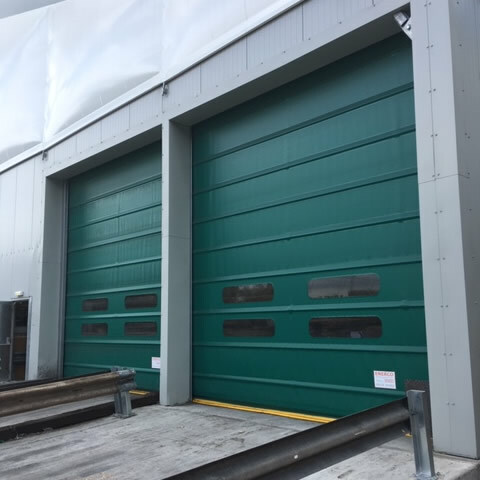 Note: The Delta Speed 9000 MEGA PACK can accommodate openings up to 50m wide and 25m high that might suit applications such as an aircraft hangar or a ship building area. For further information, please email sales@enerco.co.uk or call us on 01525 289 322.